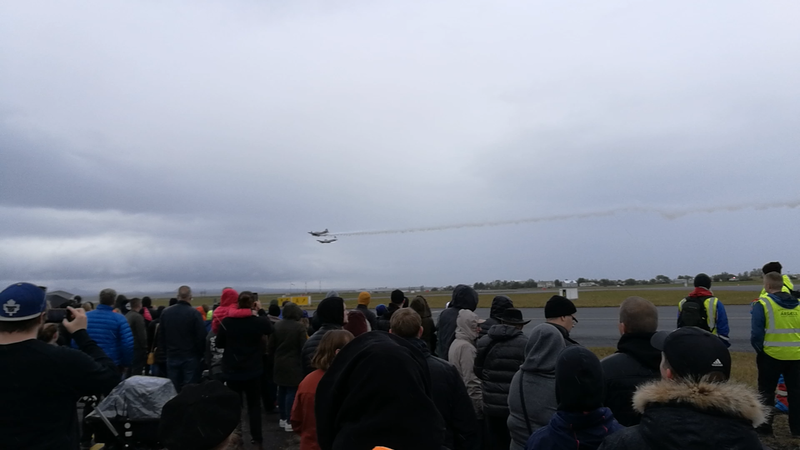 After 3 months of postponing the airshow finally has happened in Reykjavik. Crouching through nasty forecasts of the coldest Icelandic summer for past 100 years, the event brought most part of aviators to one place. All except military pilots. Flugblogger took the highest point to take a look at the event from abandoned ATC Tower and cabin of flying legend – Icelandair DC-3. The tradition to organize an aviation event during summer in Iceland is linked with weather issues. Usually, three summer months are the hottest at the island, however, not in 2018. It was officially declared that this year Icelanders met the coldest summer temperatures for the past century. 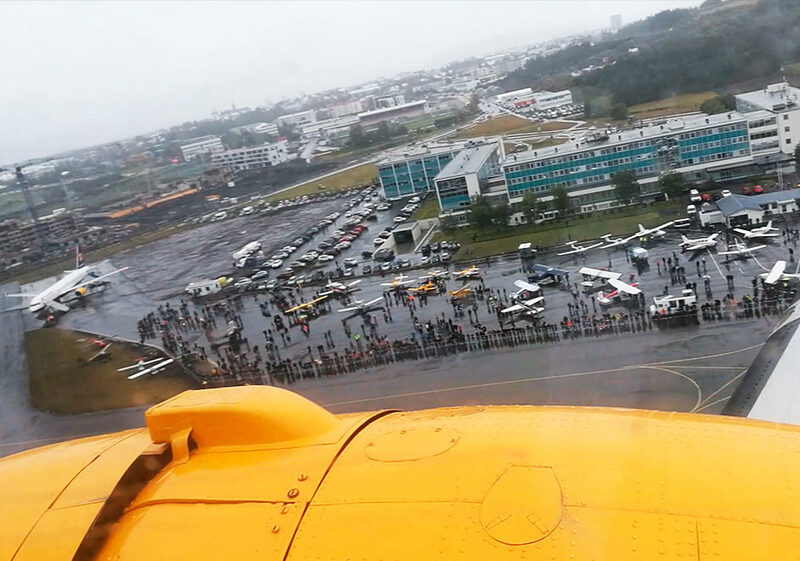 Reykjavik Airshow became one of the victims among other outdoor events, which fall under the rain. 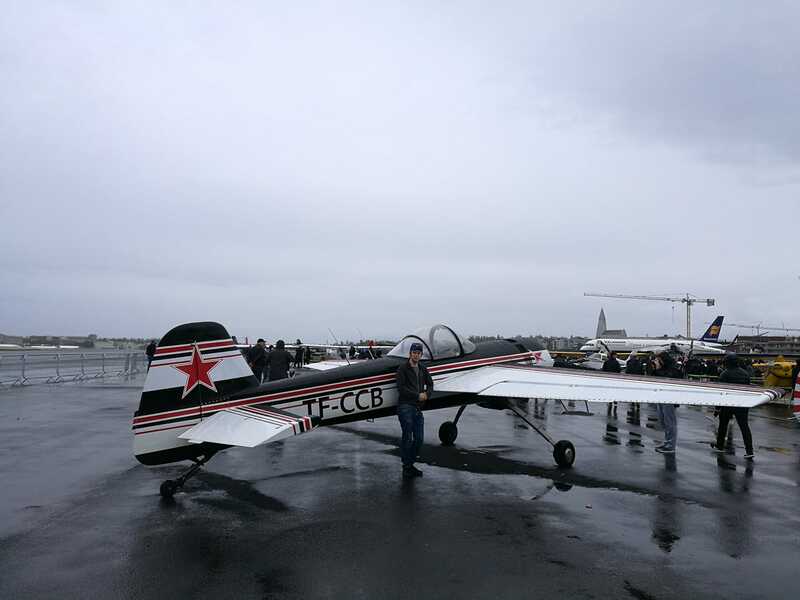 In 1st of June, just 24 hours before the airshow, organizers stated the cancellation. “Sadly, we must postpone the Reykjavik Airshow for a later date due to weather conditions this weekend. A decision was made after a meeting with airshow organizers and meteorologists early this morning. We are sorry for not to having better control over Mother Nature” – was said on the Facebook page of the event. Time went slow, week after week, month after month. Cold June was surpassed by even colder July. It was unclear if Icelanders would have an airshow this year until the moment when the president of the National Aeroclub of Iceland Flugmálafélag Íslands Matthías Sveinbjörnsson told Flubglogger they were selecting the date: “Last weekend of August or the first weekend of September.” None of these was chosen, after all, the day has come at the second autumn weekend – 9th of September. It might be that someone in the sky grinned at that moment. The start of the flight program was scheduled at midday. Mother Nature gave 1-hour handicap and then tried to shower the place. However, it seems people were not bothered by the weather. They stare at planes and helicopters, follow demonstration flights and do selfies with aircraft in the background. The temperature of the air lowered to 11 by Celsius and in the middle of the celebration, a wagon appeared in the crowd with food, which fit the weather best of all – Icelandic ice cream. Big guy, old guy, new guy and… uhh… tiger guy? The aviation part itself was pretty good this year. Visitors could see old flying friends among the crowd of the aircraft and enjoy with new fellas. One of the newbies met the attendees near the entrance to the event. 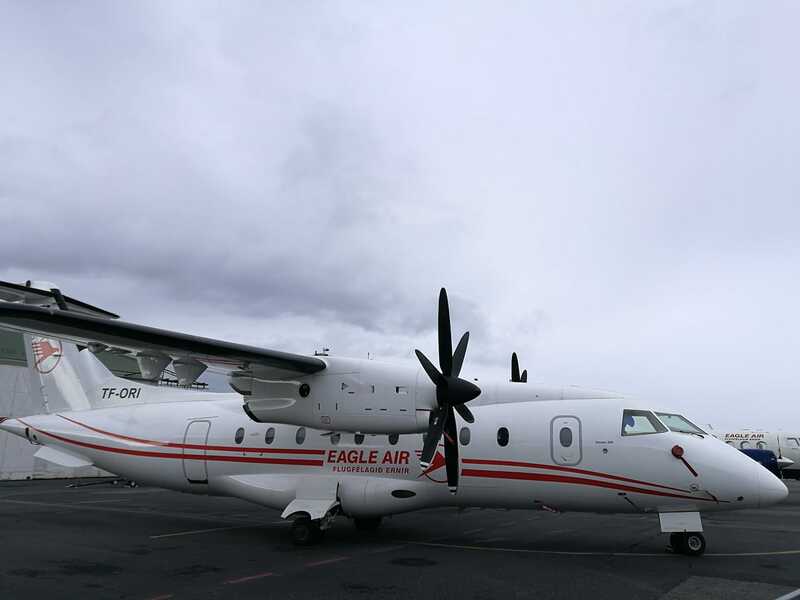 Icelandic regional airline – “Eagle Air” (Flugfélagið Ernir) – proudly placed their newest addition the fleet. Equipped with two turboprop PW100/150 engines Dornier 328 recently has obtained Icelandic registration TF-ORI and Eagle Air livery. In open sources, it was known with the previous one – D-CMHD. German company “MHS-Aviation” reportedly owns the aircraft, which performed its maiden flight in 1998. It used to fly in French “Proteus Airlines”, later in British “Scot Airways”, “Suckling Airways” and “Loganair”. Now it will serve in Iceland. It is the biggest plane in the “Eagle Air” fleet. Saying about the biggest: Icelandair Boeing 757-200 TF-ISK came to the party from Keflavik with callsign ICE5000. It appeared loudly and whistled over the crowd at 500 km/h speed, then performed slow lowpass, then landed. Just after Boeing landing vertical flying rotor aircraft took all attention of the crowd. Icelandic Coast Guard (Landhelgisgæsla Íslands) on its middle size helicopter Aerospatiale AS332L1 TF-LIF demonstrated how they do an evacuation a person from the ground using a winch, also with couple high-G manoeuvres. You can find out more details about their job in this article of the blog. A bunch of general aviation demonstrated their best skills with single and group flights. Aviators flew on ultralight, retro and aerobatic planes. Some tricks looked full of adrenaline. Hopefully, all of them landed safely. More about aerobatic Yak in this article. At static exposition was full of interesting aircrafts, including experimental. There were retro Piper Cubs with normal and tundra tires, which are naturally needed for landing on Icelandic landscapes, modern Diamond DA-20 of flight school Flugfélagið Geirfugl, Tecnam P2002 of Icelandic Flight Academy and more. But the most popular among selfie photographers, together with the glorious rank of “Best background for kids photos”, became Van’s RV-4 TF-RVA with adorable bright and aggressive livery of… hmm… tiger shark? The keeper of traditions was among them. The icon of classic beauty, which never will be “too old” or “out of fashion”. The great guy Douglas DC-3 TF-NPK with Icelandair livery shown to all these young people how to fly with a style. Rumble of engines, raising the tail before take-off, cosy warmth and the smell of the cabin. Fortunately, Flugblogger was on board of flying legend to registration all advantages of the plane. Not all emotions can be conveyed, but at least some of them can be understood from this video. “We thank you all showing up today in big numbers despite the not so perfect weather. It is clear that the Airshow is one of the major events in the city every year and the highlight of the aviation community in Reykjavik. We hope to see you all again next year at the exact same place” – said the organizers. Will see if the weather is better next year. Yet not all potential participants had managed to arrive at the airshow. Considering Iceland has no army, local people have small chances to see military planes outside classified part of Keflavik. Last year Canadian F-18 Super Hornet jet fighter came as the special guest during its NATO Air Police mission. This time Italians pilots on their Eurofighter Typhoons were expected in Reykjavik. However, their flight was banned by local authorities. Two reasons were named: a will to decrease military presence in the capital area and noise pollution. It’s hard to say if they are reasonable, but it is definitely sad that visitors of the airshow were deprived of the opportunity to watch a performance one of the most beautiful European jet fighter.